Real Property Management VA Peninsula is a full service management company, handling all phases of property management for our clients. We are a BBB (Better Business Bureau) accredited property management company in the Peninsula area; a member of National Association of Residential Property Managers; a member of local Realtor Association. We are recognized as the best property management company 2015 by Williamsburg Award Program. 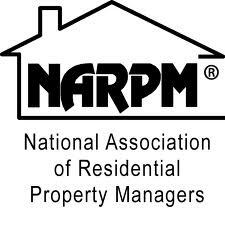 Real Property Management is the trusted leader and the largest residential property management company in North America, managing tens of thousands of properties for individuals in reliable single-family and small multi-family residences. For the absolute best service in residential property management, Hampton Roads/ Peninsula residents turn to RPM VA Peninsula. With our local knowledge and experience in property management in Williamsburg, Newport News, Yorktown, Hampton, along with the property management systems, advertising and marketing capabilities of our parent company, Real Property Management VA Peninsula is able to bring to our clients simply the finest in service and results.